Here are our award winning concepts we wish were real as shown on The Dieline. For healthy consumers, concerned more with why you should than why you shouldn’t - this convenient snack is greater than the sum of its parts. Designed by Davis, the offering is simple. 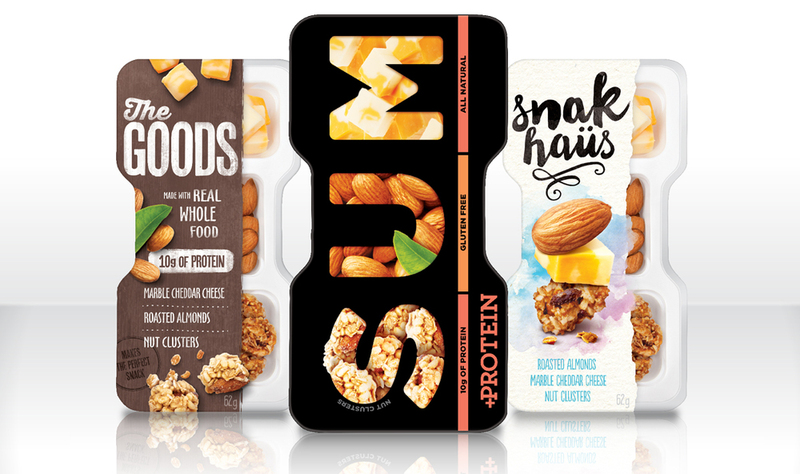 Pre-packaged pods containing natural cheese cubes, roasted nuts and wholesome granola clusters - minimally processed with real ingredients that you can see in a single-serve container.